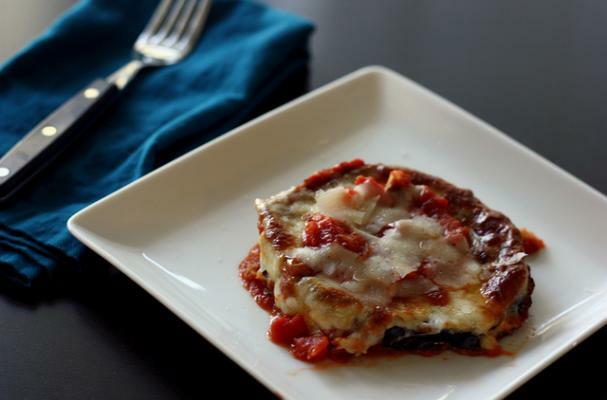 A Mediterranean cousin of Eggplant Parmesan, Moussaka is a traditional Greek dish using layers of pan-fried eggplant, tomatoes, ground lamb and a Bechemel-like yogurt topping, all baked until golden brown! Rich, creamy-melty, and utterly delicious, moussaka is the ultimate comfort food. While total prep time (including baking) takes a little over an hour, this is the perfect weekend dish --- destined to create delicious leftovers! On a side note, while I haven't tried freezing it, I imagine that it work out pretty well -- I freeze eggplant parmesan and lasagna in casserole dishes all the time to great success!